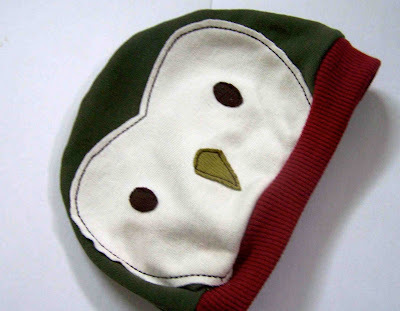 Moth and Sparrow offers adorable free (for personal use) patterns for knit baby hats. When I stumbled upon the image on Pinterest they were instantly added to my list of things to make to welcome baby. She offers patterns for A Fox, Raccoon, and an owl. 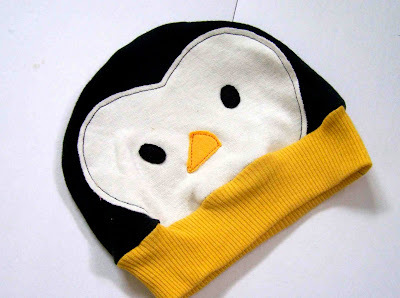 I couldn't resist turning the little owl pattern into a penguin hat. I tilted and elongated the beak, and slightly altered the face shape. The hats are easy to sew up, and don't take much time at all. I left all of my raw edges unfinished....laziness mostly, but you really don't have to worry about knit fraying much. If you're expecting a baby, or simply can't resist sewing up cute little things, then I highly recommend trying out this project. I used scraps from my knit pile, but you could certainly cup up a soft old t-shirt or two to whip these up. So excited we have a grandbabe due the end of the month these will be perfect come the cool months. so adorable! i can't wait to see them on your sweet baby's head! Loove this! 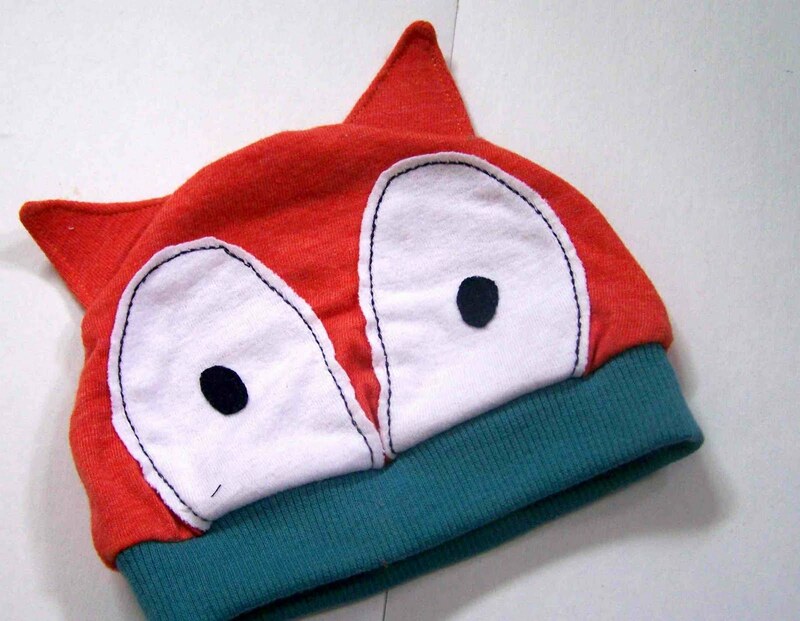 I have a fondness for baby clothing that has been turned into an animal somehow...these look so easy! How adorable! I love the penguin. That will be so cute on your little guy this winter! Love these hats!!! I would wear them all in autumn/winter season - when I go to run in wood. There are eight unique varieties of this merchandise. AnimalHeadGear.com :: The Best Animal Hats Online offers some in-depth insights on animalheadgear.